Pride in ownership. This well kept 3 bedroom, 2 bath home is move in ready! Freshly painted interior, tile flooring throughout, 2 year old roof and HVAC, water heater 1 year. Split floor plan with a spacious master bedroom which has a walk in shower and walk in closet. Kitchen has a large pantry, breakfast bar, bay window in dining area. Inside laundry with cabinets. Lot size almost a 1/4 acre with a fenced in yard with a double gate and a shed on a concrete pad.The 2 car garage has hurricane rated garage door and new door opener. 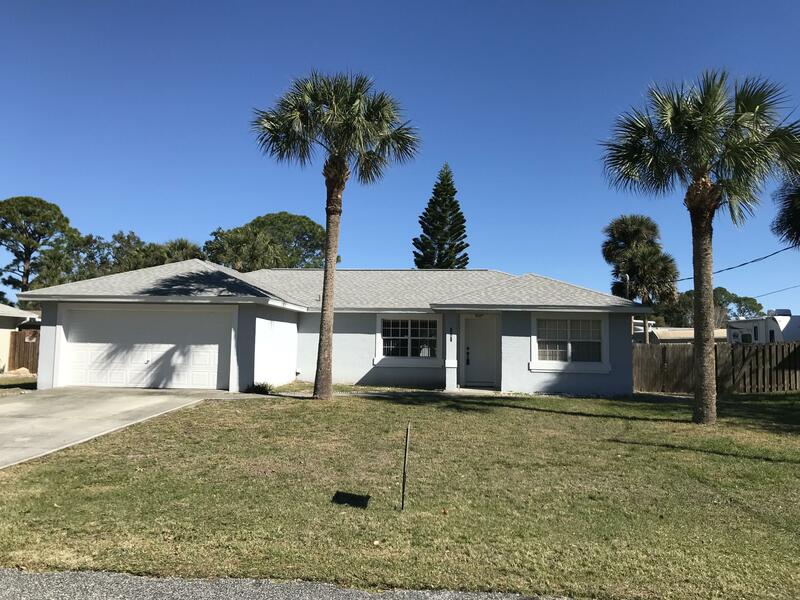 Convenient Space Coast area location!